Diabetes is widely recognised as one of the world’s fastest growing chronic diseases. Unlike Type 2 Diabetes, which can be managed through lifestyle changes, Type 1 Diabetes often arises during childhood, and involves a lifelong dependency on insulin given by injection. People with Type 1 Diabetes also experience reduced quality of life and life expectancy as, even with insulin treatment, the disease wreaks havoc on the body causing a range of conditions from kidney failure to blindness. In a career of over 30 years, working to prevent and cure Type 1 Diabetes, Professor Len Harrison has made outstanding contributions to understanding its causes and to the development of a vaccine. His seminal work, which involved defining the structure and function of the insulin receptor and discovering the autoimmune basis of Type 1 Diabetes, has enabled him to play a pivotal role leading international clinical trials of a vaccine to prevent Type 1 Diabetes. His team has developed ways to identify people at risk and are undertaking clinical vaccine trials to boost protective immunity and prevent Type 1 Diabetes. His work in the area of epigenetics is focused on identifying factors in early life that might alter immune function and cause immune diseases like Type 1 diabetes and allergies. Len Harrison graduated in medicine from the University of NSW then moved to Melbourne to complete an MD at the University of Melbourne. He spent his early career as a physician in the Royal Melbourne Hospital (RMH) before travelling to the USA on a CJ Martin Fellowship. Returning to the RMH in the early 1980s as Director of the Endocrine Laboratory, and then Director of Clinical Immunology and Allergy, he spent over 20 years in concurrent positions at the RMH and the Walter and Eliza Hall Institute (WEHI) in a seamless combination of research with clinical medicine. 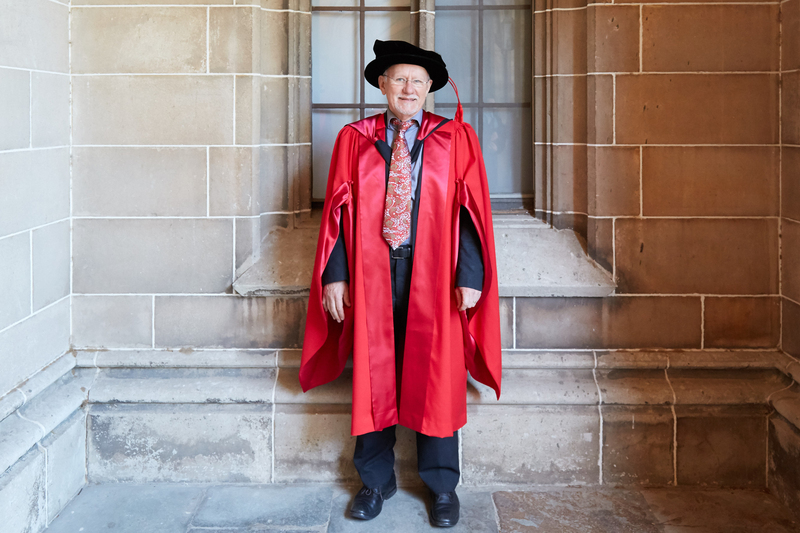 Professor Len Harrison’s leadership has played a vital role in securing international recognition of Australia as a major global hub for Type 1 Diabetes research. His contributions to the scientific literature on insulin receptors and glucose metabolism, basic immunology, immune mechanisms of disease, and pre-clinical diagnosis, prediction and prevention of Type 1 diabetes are documented in over 500 publications in scientific journals, books, reviews, editorials and reports. He has created 13 patents, six of which are currently active. He continues to lead and undertake research and mentor scientists and clinicians, in particular as head of international consortia working on diabetes vaccine trials and the developmental origins of immune disease. Local and international recognition of the impact and value of Len Harrison’s work has included the Wellcome (now Glaxo) Australia Award, the Eric Susman Prize for Research, the Kellion Award and medal, the David Rumbough Award for Scientific Excellence, the JDRF Lifetime Achievement Award and inclusion in the NHMRC ‘Ten of the Best’ researchers in 2009. He is a Life Fellow of the RACP and Fellow of the Academy of Health and Medical Sciences. In addition to his research and clinical commitments, Len Harrison is deeply engaged in supporting both the RMH and WEHI, consumer advocacy organisations and the NHMRC. He has made significant contributions to the Hospital Research Ethics Committee and Board of Post-Graduate Education, in roles at the WEHI as Advisor in Scientific Integrity and Chair of the Reconciliation Committee, to several NHMRC committees and working parties, the Juvenile Diabetes Research Foundation, and as President of the Australian Diabetes Society and International Immunology of Diabetes Society. Professor Len Harrison continues to connect two of the University’s longest standing partners in health, in making highly original and impactful advances in the understanding of immune diseases and the development of preventive treatments for Type 1 Diabetes.